The Chicago Bar Association is soliciting member input on Cook County judges up for retention on the November ballot. Members "are invited to submit comments if you have appeared before a judge or know the candidates and have personal knowledge about their qualifications and abilities." Visit the CBA website (that's a link to the CBA home page in the preceding sentence) to complete a confidential questionnaire. While the information provided is confidential, you will note that the CBA form requests each contributor to leave identifying information including name, address and phone number. Not only does this prevent anonymous attacks, it provides the opportunity for investigators from the CBA Judicial Evaluation Committee to follow up on responses, if necessary, seeking clarification or additional information. Per email received today from Dawn Gonzalez (who is also on the host committee for the event), a fundraiser for Cook County Democratic Party judicial candidate Daniel J. Gallagher will be held on July 29 from 5:00 to 7:00pm at Roditys Restaurant, 222 South Halsted, in Chicago's Greek Town. Tickets for the event can be purchased through Gallagher's campaign website. According to the invitation I received, online contributions of $100 or more will reserve your ticket at the door for the July 29 funder. Gallagher is the Democratic Party's nominee for the countywide McCarthy vacancy. He has the unique distinction of being the Democrats' only countywide judicial nominee to have a Republican opponent (Maureen Masterson Pulia) in November. Honorary Co-Chairs for the July 29 Gallagher fundraiser are U.S. Congressman Mike Quigley, Illinois State Treasurer Alexi Giannoulias, and Illinois State Senator Don Harmon. The Chicago Daily Law Bulletin (subscription required) reported this week about the new Judicial Performance Commission of Cook County. A project of the Chicago Appleseed Fund and the Chicago Council of Lawyers, and supported by a grant from the Joyce Foundation, the JPC is surveying lawyers who've appeared before judges up for retention this year with a view toward making retention recommendations for November. A key difference in the methodology of the JPC surveys is that the JPC is contacting attorneys based on court appearances supplied by the Clerk of the Circuit Court. "In the evaluation process conducted by members of the Alliance and the Chicago Bar Association," John Flynn Rooney's Law Bulletin article explains, "judges up for retention provide names of lawyers who have appeared before them." The JPC is using an independent research team, separate from the Commission, to conduct its surveys. According to an explanatory letter issued by the JPC, more than 8,000 will be contacted in an online survey; another 1,400 lawyers will provide "interviews using structured interview instruments." In response to an email inquiry from this blog, Elizabeth Monkus of the Chicago Appleseed Fund for Justice explained that the JPC is "attempting to identify or control for attorneys with a particular axe to grind, or a single bad experience in front of a judge in a couple ways." First, Monkus said, survey respondents are asked about their own levels of experience and are also asked straight out how often they've appeared before the particular judge. In addition, Monkus said, "independent social science researchers are serving as consultants to the project, performing statistical analysis of the responses. Their analysis allows us to identify outlier responses and discover patterns in the responses. For instance, it may be that a judge rates very highly in the administrative capacity metric with attorneys that routinely appear in her courtroom, but rates very poorly on the same questions with attorneys who infrequently practice before her. Statistical analysis of the responses allows us to understand conflicting responses to survey questions and allows us to form a nuanced evaluation which accounts for the discrepancies." Rooney's article mentions that the Chicago Council of Lawyers will also continue to participate in the Alliance of Bar Associations for Judicial Screening and will issue independent ratings. Given the involvement of the CCL in setting up the Commission, I asked Monkus whether separate evaluations from the JPC and CCL might not be seen as a way for the CCL to exercise disproportionate influence over the retention process. In an email, Monkus responded, "No members of the Commission currently serve on the CCL board, nor has any member of the Commission been part of the CCL’s state judicial evaluation process." While representatives of the CCL "helped plan" the JPC, Monkus said that Chicago Appleseed, which is providing "administrative support" for the JPC, is independent of the CCL, although Chicago Appleseed and the CCL "do work together on systemic reform projects." It should also be noted that two of the JPC's 17 members, Leonard Jay Schrager, a former dean of the John Marshall Law School, and Roy E. Hofer, a partner with Brinks, Hofer, Gilson & Lione in Chicago, are former presidents of the Chicago Bar Association. (For a complete list of Commission members, see this post on page two.) The CBA is also expected to issue separate recommendations on judicial retention hopefuls. The JPC hopes to complete its surveys and evaluations and issue its retention recommendations by early November. This June 29 post on the Chicago Appleseed blog solicits lawyer-volunteers to assist the JPC in its work. Interested persons will find contact information by following the link in the preceding sentence. Judges running for retention will not be dependent solely on surveys of lawyers who appear before them to make their case for retention. The Cook County Retention Judges website has been launched. Eventually, information for each of the 70 judges up for retention this year will be added, but, as of this writing, the site is still incomplete. If the last election cycle is any indication, some judges will put more effort into making their case for retention than others. This site will provide a place where judges can make their retention claims directly to the voters. A link to this site has been added to the Sidebar. The Illinois Civil Justice League will survey all candidates for judicial office in Illinois and post candidates' responses and other relevant information on Illinois Judges.Net, the ICJL's judicial election website. 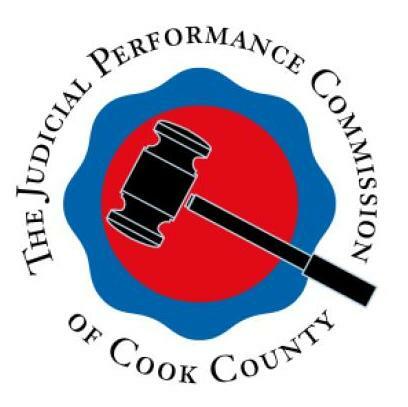 According to the July 8 ICJL News Update, Illinois judicial candidates, including all Cook County retention hopefuls, "will be invited to respond to an ICJL questionnaire and include information related to their background and philosophy. Candidate endorsements by various bar associations and newspapers will be included and candidates may provide links to their own websites." More information on the ICJL surveys, the bar association retention evaluations, the JPC evaluation process, and on the Cook County Retention Judges' own website will be posted on For What It's Worth in the coming weeks. Where are Chicago's recycling carts? The Chicago Sun-Times reported yesterday that at least 22,000 blue recycling carts are stashed in a South Side warehouse because the City "ran out of money one-third of the way through" the switch to a long-promised curbside recycling program. Streets and Sanitation employees who've eyeballed the stash insist the actual number is far greater. They say the stacks of carts run 25-deep for at least a block at [the City] warehouse. Chicago's 600,000 households were all supposed to have curbside recycling by the end of 2011. However, reports Spielman, the curbside recycling program is "now stuck at 241,000 households." The program certainly hasn't reached my corner of the 41st Ward. The headline on Spielman's article suggests Chicago is throwing away $1 million on the recycling carts. The headline writer got the number from multiplying the admitted number of stored carts (22,000) by the acknowledged $45 unit cost (it comes out $990,000). But here's my question: Why doesn't recycling make money for the City? It seems like every private school in the City makes money from recycling newspapers. Someone buys the stuff from the party that's collecting the papers. Those bins are being run as a business, not a charity. There are all sorts of products made from recycled paper. Illinois Supreme Court Rule 10 encourages lawyers to use recycled paper. And paper is not the only product that touts its recycled content: Cans and plastic bottles are starting to boast about how little new material they use. People are buying and people are selling. Why isn't the City getting its share? Why aren't we? Cook County Clerk David Orr's office has posted a link to the challenge to Roger Zamparo's bid to run as an independent candidate in the 11th Judicial Subcircuit. A link has also been posted to the challenge to Keith Thiel's petitions to run in the 14th Subcircuit. The objections to Thiel's petitions are fairly standard: The Objector's Petition alleges that, though Thiel claims to have secured more than the necessary 2,524 signatures, when forgeries, signatures of voters not registered to vote within the boundaries of the 14th Subcircuit, signatures of persons not registered to vote, and signatures of persons providing incomplete or inaccurate addresses are deleted, Thiel will not have enough valid signatures to qualify for the ballot. These are the kinds of objections one expects to see and it is not possible to evaluate whether the objector has a good case merely from the allegations in the petition. Objectors' petitions typically refer to attached schedules which purport to document objections in each of these categories. With these schedules, and the actual voter registration records, one could form a judgment as to the strength of the objections in any given case. Of course, this would undermine the role of the Electoral Board. In any event, the schedules are not posted on line. I have not looked into the reasons why. I would think that privacy and potential identity theft considerations may figure prominently in this decision, however. Nominations of independent candidates for public office within any district or political subdivision less than the State, may be made by nomination papers signed in the aggregate for each candidate by qualified voters of such district, or political subdivision, equaling not less than 5%, nor more than 8% (or 50 more than the minimum, whichever is greater) of the number of persons, who voted at the next preceding regular election in such district or political subdivision in which such district or political subdivision voted as a unit for the election of officers to serve its respective territorial area. I don't pretend to know how the Board will rule. But there was no judge elected from the 11th Judicial Subcircuit in 2008. Judge Mary Colleen Roberts was elected from the 11th Subcircuit in 2006. She was unopposed in the general election and received 63,722 votes. Five per-cent of 63,722 -- if that is the relevant number -- is 3,186. A status hearing is scheduled in both cases on Tuesday, July 6.